Poznan Motor Show is a unique fair that attracts thousands of motorists every year. Here you will find the most exotic,luxurious cars and models from every segments, all-terrein motorcycles, the largest road trucks and the most varied camper vehicles! 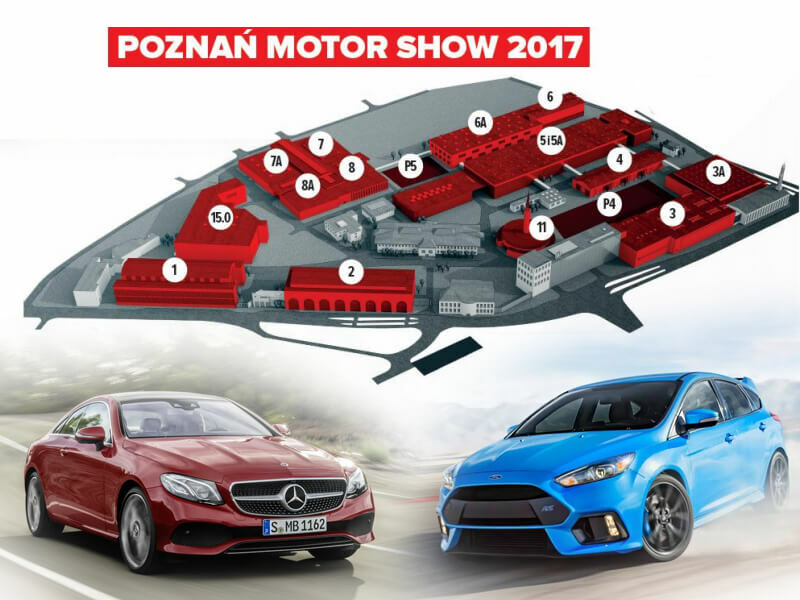 If you do not have any plans for the weekend, then we invite you to the Motor Show Poznan 2017, which is located in the center of Poznan on the area of 50 000 m2. By visiting the fair you can expect 150 different exhibitors arranged in 14 different pavilions. AUTO WATIN FORD will be promoting the Ford brand – in 2016, they presented us the Focus RS of the third generation. Thanks to cooperation with Ford Performance, for the first time we had the opportunity to see the Ford Fiesta ST200 – see here! At the fair, you will find luxury vehicles from the BMW stable (including the latest models – BMW 530e & BMW I-series), Mercedes-Benz (E63 S 4Matic+, 612 hp, which accelerates to 60mph in 3.3 seconds), Rolls-Royce, Porsche (Panamera Sport Turismo and 911 GT3 Cup), Tesla, Aston Martin, Ferrari and many more! You will also see, among others new Citroen DS 7 Crossback, Skoda Kodiaq (first seven-seat SUV of this brand), Toyota will honor us with a whole family of Hybrid models (Yaris, Auris, RAV4, C-HR, Prius), Honda will present the strongest rival for the Ford Focus RS, the Honda Civic Type R. Volvo will show XC90, XC60 models and the latest technology – Drive-e engines introduced by the Swedish concern. In addition, this year Mitsubishi is celebrating the 100th anniversary of the production of the first Mitsubishi Model-A! On this occasion, you will have an opportunity to meet twice winner of the Dakar Rally – Hiroshi Masuoka. Is it worth it? Of course! Motor Show Poznan is not only expositions, but also automotive events such as the “VI National Mechanics Championships 2017″, “Modified Vehicle Show”, 23rd edition of the “Best Cars 2017″, extreme stunt demonstrations on motorcycles and the “Motor Show Awards”.